The last papers have been written and submitted, final exams are over, Ring Road is virtually empty, and most of our students have left for the holidays, but the campus is not quiet by any means. The work of the university is still going strong. Our dedicated staff is busy closing out the year and preparing for all of the coming year’s initiatives and projects. And many of our faculty are taking advantage of the break in classes to devote extra time to their research. One of the pillars of our global reputation as a world-class university is the extraordinary scholarly achievements of our remarkable faculty. Last month seven of our foremost researchers were elected fellows of the American Association for the Advancement of Science, the world’s largest scientific honor society. The new UCI honorees, selected by their AAAS peers, are Carter Butts, professor of sociology; John Chaput, professor of pharmaceutical sciences; Leo Chavez, professor of anthropology; Zachary Fisk, professor emeritus of physics & astronomy; Fillmore Freeman, professor of chemistry; Pramod Khargonekar, vice chancellor for research and Distinguished Professor of electrical engineering & computer science; and Stephen White, professor emeritus of physiology & biophysics. With the addition of this year’s class, UCI now has 167 fellows of the AAAS. Congratulations to all the new fellows! Abraham Lee, William J. Link Professor and chair of the Department of Biomedical Engineering, professor of mechanical & aerospace engineering and director of the Center for Advanced Design and Manufacturing of Integrated Microfluidics, has been named a fellow of the National Academy of Inventors, the highest professional distinction accorded solely to academic inventors who have demonstrated a prolific spirit of innovation in originating or facilitating outstanding inventions that have had a tangible impact on quality of life, economic development and the welfare of society. His research focuses on developing microfluidic platforms for point-of-care and molecular diagnostics, sample preparation and liquid biopsies, single-cell processing and analysis, and vascularized organ-on-a-chip devices. He holds 38 U.S. patents for his inventions and is the co-founder of Kino Biosciences, which builds three-dimensional vascularized micro-organs and micro-tumors to improve the accuracy of drug discovery and validation. UCI now has nine members of this prestigious academy. 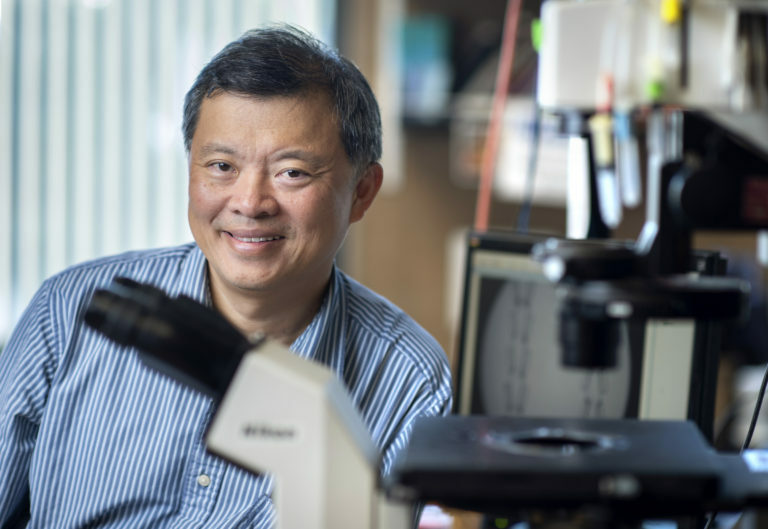 Congratulations, Professor Lee, on this well-deserved honor! In the last week we have made two significant additions to the leadership of our academic health enterprise. 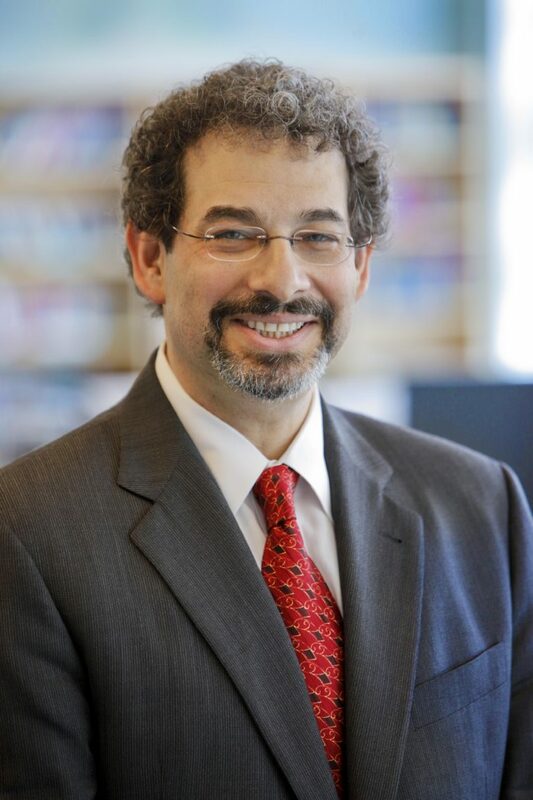 Steve Goldstein, M.D., Ph.D., has agreed to serve as our vice chancellor for health affairs, overseeing all education and research activities within the Susan and Henry Samueli College of Health Sciences. He joins us from Loyola University Chicago, where he is dean and chief diversity officer of the Stritch School of Medicine. Previously, he was provost and senior vice president for academic affairs at Brandeis University; chair of pediatrics, founding physician-in-chief of Comer Children’s Hospital and founding director of two biomedical research institutes at the University of Chicago; and professor and founder of the Section of Developmental Biology and Biophysics at Yale University. A renowned pediatric cardiologist, he is an alumnus of Brandeis University and earned his M.D. and Ph.D. at Harvard University. He will join us in February 2019. Chad T. Lefteris has been named COO of UCI Health, overseeing daily business operations of Orange County’s only academic medical center. 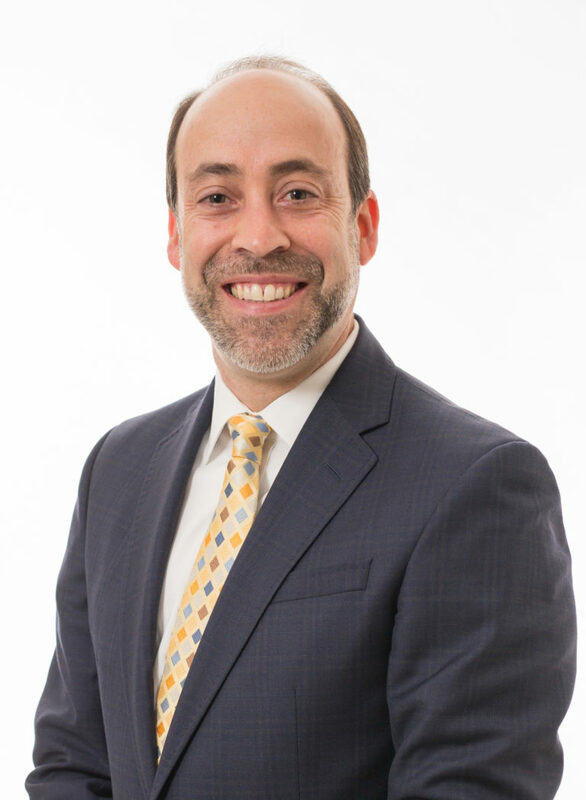 Chad T. Lefteris, an executive with deep experience in integrated and academic health systems, has joined UCI Health as chief operating officer, overseeing the daily business operations of the UCI Medical Center and the other UCI-operated health care centers throughout Orange County. He is responsible for administrative functions, including general and ancillary support services, facilities management, design and construction, and special projects. 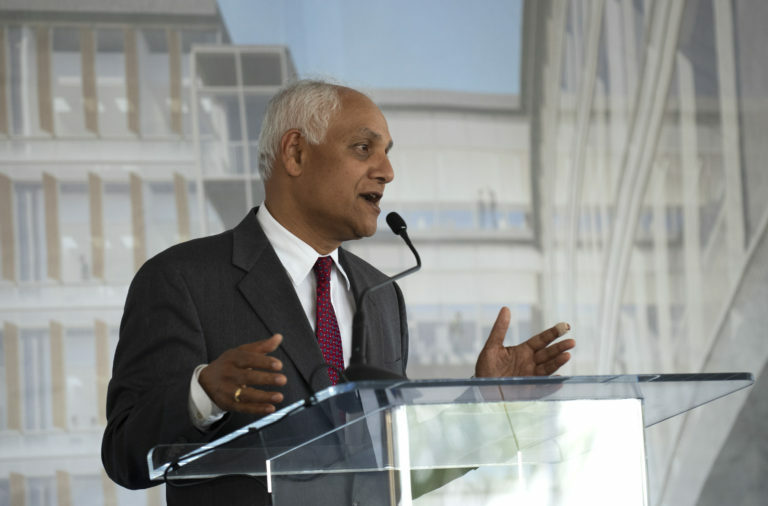 He came to us from UNC REX Healthcare, a private, not-for-profit health care system that is a key component of Chapel Hill, North Carolina-based UNC Health Care, where he was most recently vice president of operations. He received his bachelor’s degree in business administration/health care management from Appalachian State University and his master’s degree in health administration from Medical University of South Carolina. In recent years UCI has received much acclaim for being the college or university “doing the most for the American dream” by helping low-income, first-generation and other nontraditional students thrive in college and beyond. You can read about some of the programs and initiatives we have put in place, and learn the personal stories of a few of our alumni, in the most recent issue of UCI Magazine. Last week The New York Times highlighted the success of our efforts for first-generation students. Articles like this, and the stories we hear every day from students on campus, bring home to all of us the overarching importance of our mission to educate our state’s very best students regardless of their economic circumstances. In support of that mission UCI is proud to be a member of the American Talent Initiative, a consortium of public and private universities founded in 2016 with the goal of substantially expanding the number of talented low- and moderate-income students at America’s undergraduate institutions with the highest graduation rates. Now it has released its initial report on its efforts to date, and UCI is cited for leading the way in increasing socioeconomic diversity by accepting more community college transfer students. We added 2,323 Pell grant eligible students from 2012-2013 to 2017-2018, with nearly 900 added in the last two years, and close to half of them enrolled as transfer students. National statistics show that just 49 percent of Pell grant recipients earn a bachelor’s degree within six years. At UCI, in contrast, the graduation rate is a remarkable 85 percent, testament to our commitment to provide our students with the opportunity to achieve the American dream. 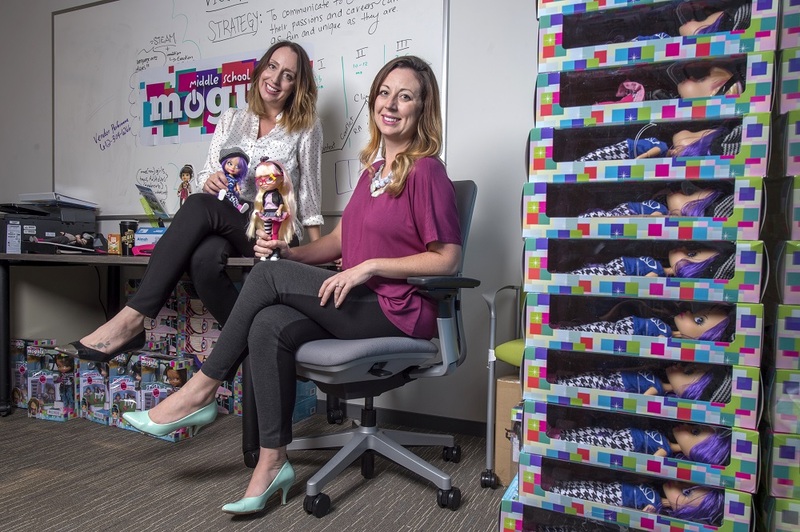 Several years ago Gina Heitkamp, an MBA candidate at the Paul Merage School of Business, realized there were few toys on the market that would inspire girls to pursue careers in technology and entrepreneurship, so she and her sister, Jenae, decided to fill the void. They developed Middle School Moguls as their startup entry in the Business Plan Competition at the Paul Merage School of Business. After they won, the first all-female team to do so, they took their idea to the Cove at UCI Applied Innovation. This led to a successful Kickstarter campaign and additional funding from investors, including the Cove Fund. Now the Middle School Moguls dolls and stories are available in stores around the country, but the founders are not stopping there. They recently signed an agreement with Nickelodeon to bring the Middle School Moguls brand to television as an animated series on the network. The series will chronicle the ambitions of four new friends striving to create their own companies while attending Mogul Academy, an entrepreneurial school where kid-business dreams come true. Congratulations to the Heitkamp sisters! We are proud to have played a part in your success. 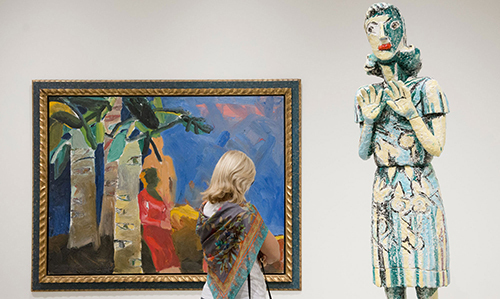 “First Glimpse,” the stunning exhibition of artwork from the Buck Collection of modern and contemporary California art, and the inaugural presentation from the UCI Institute and Museum of California Art, will close on Saturday, January 5. It is already the most viewed exhibition of art ever put on at UCI, and if you haven’t seen it, I hope you will make a special trip to our art galleries to view it. Information about the special holiday hours can be found here. And on Saturday, January 5, there is a very special event featuring two world-renowned artists, Laddie John Dill and UCI founding faculty member Tony DeLap. You can register for this unique event here. The holidays are a time for reuniting with family, renewing friendships, and rest and relaxation. I wish you peace and joy this festive season and throughout the new year. Thank you for participating in the life of this university.